We are running out. On 17 November, the store H & M open the doors to capsule collections by Versace. And here is the anticipation that one was missing: the fantastic bag. Applause Donatella Versace that this collaboration has been very generously dispensed. These are little gems, which are extremely glamorous – such as the version with hot pink hearts – and at the same time a lot of rock – as in the version of leather and studs. We want also to mention the exotic bag, with a mix of animal print and tropical landscapes? 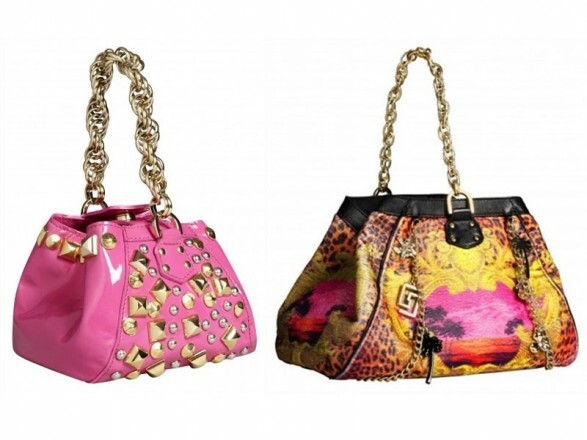 All bags are embellished with gold details, handles and jeweled charms worthy of the Versace style. Of course they are accessories that will not pass unnoticed. The problem is, as already said, being able to snap up the pieces. On Official site you will find all the shops where the coveted collection will be available and instructions for queue management. This is not a joke. At the base is in fact a flawless organization made up of colored bracelets and maximum time of purchase for each input. Refrain beginners. But above all the indecision and hesitation to call. Here is the latest shopping elbowing.